Folarin Falana aka Falz the Bahd guy has responded to the condemnation and criticism his new music video has received. The rapper’s controversial musical video #ThisisNigeria exposes societal ills in the society. He also made use of vixens in Hijab to depict the chibok girls. This made a muslim group, MURIC to give the rapper a 7 day ultimatum to withdraw the video and tender an apology or face a law suit. 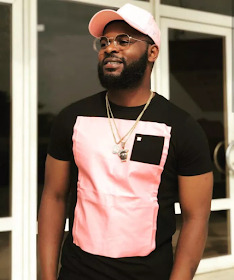 Speaking in a recent interview, Falz, the son of a renowned lawyer, Femi Falana, stated that the use of vixens in hijab was intentional, asked if there was any law against his actions. “It was very intentional. We continue to forget or neglect the innocence of the girl child and because of all the issues that we are having, the kidnappings and the killings especially in the Northern part of the country, the Chibok girls and very more recently the Dapchi girls.